If you love coffee then you really should know where the bean that makes up your brew is coming from and the process it undergoes before you consume it. 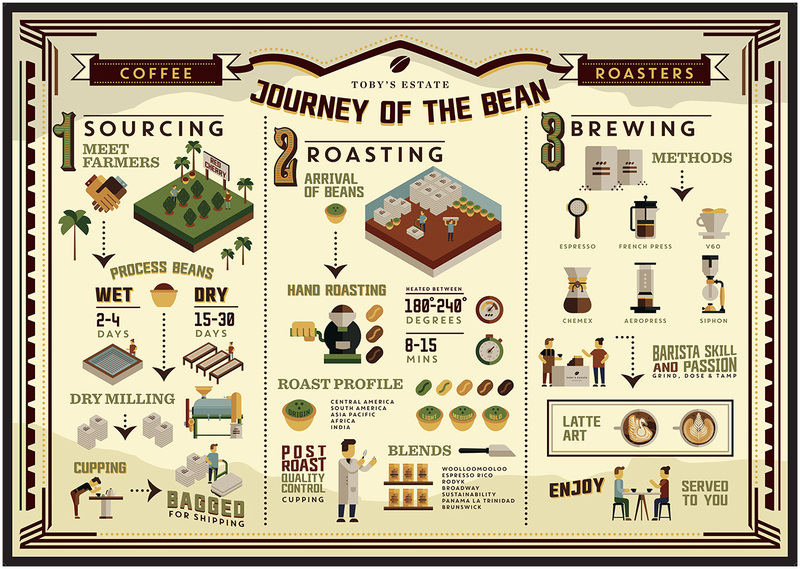 This infographic from Visual.ly sets out to show just that with The Journey of the Bean, one bean’s story of childhood, before entering the murky world of roasting and brewing. It sets out in detail the processes that coffee beans go through before they resemble the dark, smelly coffee bean we all associate with the drink. Take a look and follow the journey of the bean.